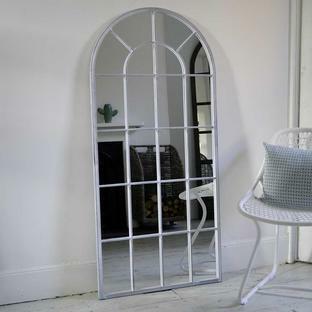 Create a focal point in the garden with this elegant mirror. 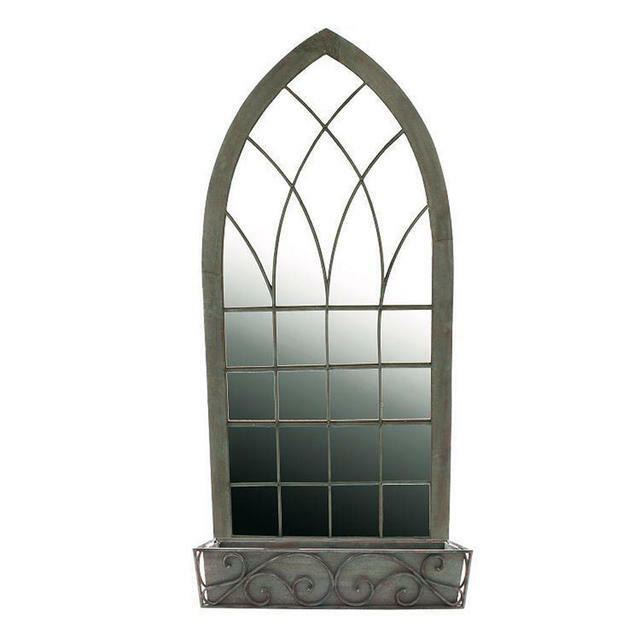 This metal Gothic style mirror in a verdigris patina will make a delightful focal point for the garden. The mirror has a window box style trough that hangs at the base of the mirror. 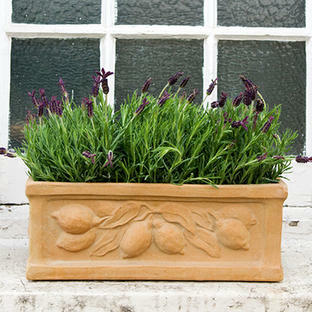 The trough planter can be unclipped from the mirror, if required. 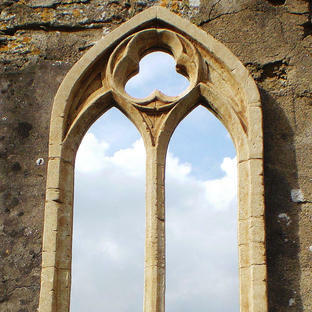 As with all garden mirrors, they are best located out of the full force of the elements. Please contact us on 0345 605 2505 if you wish to order this mirror; it can be ordered now. Made in metal with rustic finish. The mirror needs to be hung on a wall if the trough planter is to be used. Screws and Fixings not supplied.